If you’re a freelancer or a small business owner, you’re probably thinking of whether hiring an accountant will cost you more money than it’s worth. For the majority of people, income tax is handled by their employer, so they never even have to think about it. But now we’re seeing more and more Millennial employees turning into freelancers and small business owners. An unprecedented number of Millennials are self-employed. In fact, 15% of the UK workforce work for themselves, and that number is only expected to keep increasing. Freelancing or running your own business comes with many advantages over traditional 9 to 5 employment. No boss breathing down your neck, no office politics, and no watching the clock waiting for an acceptable time to leave. But that freedom also comes with increased complexity when it comes to the tax return. Frankly, many Millennials aren’t even sure what a qualified accountant can do for them. We presume that tax professional is only paid to fill in blanks on a tax form. As a result, the prospect of paying someone for something you think you could do yourself seems not to be worth it. 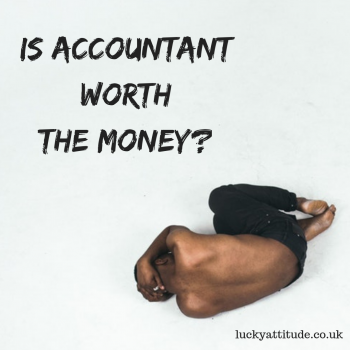 When is hiring an accountant worth it? Whether you starting a side hustle while still keeping your day job, getting your income through freelance work or own a small business, I’m going to show you when hiring an accountant is well worth the money. Many people think that professional accounting services only make sense for large businesses, which isn’t true. Hiring an accountant can help you save money even when you are a freelancer. If you have more than one source of income, I would recommend hiring an accountant to help you manage your money in the best possible way. 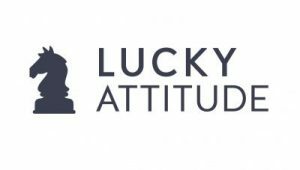 When I first started making money with this blog, I was employed full-time, which meant I had several income streams. This created an unusual tax situation, so I consulted with an accountant, who specialised in freelancers and digital economy. I’m glad I did as I learned a lot on the call. She helped me to understand what are the applicable tax deductions and I managed to negotiate a discount as it was my first year of being partly self-employed. I later calculated that the business-related deductions that I was able to claim against my earnings almost covered the cost of my accountant – my accountant ended up costing me only £60, which is nothing considering how much time and hassle she helped me to avoid. If you own a business, it is necessary that you hire a professional to help with your taxes. Owning a VAT registered business adds a level of complexity to your taxes. Business taxes aren’t as straightforward as individual ones. This means you’re more likely to make a mistake that could cost thousands of pounds in penalties. If you don’t hire an accountant for your business, you are going to have to keep a record of every single one of your business transactions, familiarise yourself with tax laws and estimate yourself how much tax you’d have to pay at the end of the financial year to ensure you won’t be caught off guard when tax season comes. Having a professional on your side when you’re just starting out, is a massive relief. It means you can spend more time earning money and polishing your skills instead of sweating over taxes. If you are the type of person who is just uncomfortable with numbers, software, and law, you are more likely to make mistakes when filing your taxes resulting in problems with authorities. It’s easy to make mistakes when filing a tax return because tax law is a complex concept and it’s always changing. When you hire an accountant, you don’t need to worry about being audited or fined, because you know there won’t be any mistakes. As a small business owner or freelancer, you may have a significant number of expenses that can be deducted. For example, if you make £50,000 a year but spend £7,000 on costs for your business, then your taxable income is only £43,000. If you run a business, there are many tax write-offs, and a professional has the expertise to help you navigate them. Accountant will guarantee the best value for your hard-earned money. Not to mention that the cost of the accountant itself is eligible for deduction. If you sell your time for £100 per hour and it takes you 10 hours to do your taxes, that’s a cost of £1000 to do your taxes yourself. I don’t know many entrepreneurs that would think doing tax work is where they add value to the business. Hiring an accountant is the smart choice for those who are serious about their business growth. Even though accountants are not financial planners, they can warn you if your investment decisions aren’t sound, giving you tips on how to handle the financial matters of your business. In the early phase of any business, making correct and timely decisions regarding the company’s financial operations could be critical to sustaining your company. There are different accounting services out there – corporate accounting, small business accounting, and personal accounting. All of them have their own unique traits. Before you hire an accountant, make sure that he or she specialises in the type of business you’re in. An accountant with proper expertise in freelancers and small businesses might better understand all ins and outs of a small business accounting compared to a corporate accountant (for example). Have you worked with an accountant before? Any tips you’d like to share with us? Great advice, thanks. Thats a big saving. Who is your accountant? I’m a freelance TV editor and a one-man business, I have an accountant, who was recommended to me through another friend. Very happy with his service, not too crazy expensive but very convenient. Can pass around his details if anyone is interested?